We've been fans of The Little Green Sheep since Bud was small and I discovered their range of bedding. I was looking for a good quality mattress protector to go with the cot bed set we had purchased for him and the unanimous recommendations I found when I asked a few other bloggers, were to go with the Little Green Sheep. 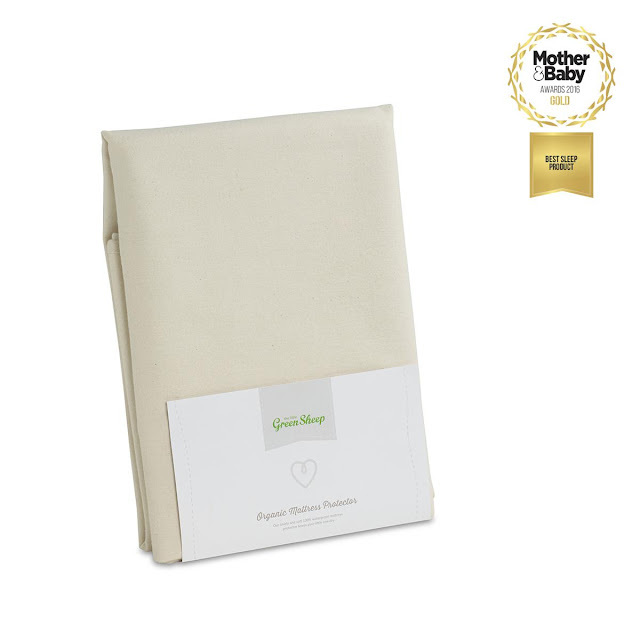 We purchased one, and then another of their cot bed mattress protectors and they have been in daily use ever since. When Bud moved into the bottom bunk of his new bed about eighteen months ago, his little sister inherited his cot bed and we chose a different brand to protect Bud's new single mattress. This mattress doesn't need the same amount of protection as a cot bed but we still have the odd spilled cup of water and night time illness. 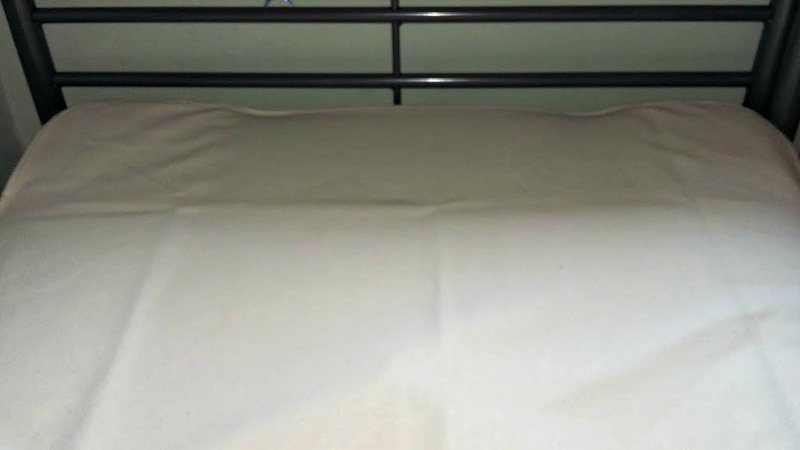 I've been meaning to replace this protector for a while as Bud has been complaining it isn't comfortable under his sheet so the opportunity to review a single bed mattress protector from The Little Green Sheep was really timely. I must admit that I hadn't realised that the company sold mattress protectors for full size single beds so I was really looking forwards to seeing if the larger size would work as well as the cot bed version has. 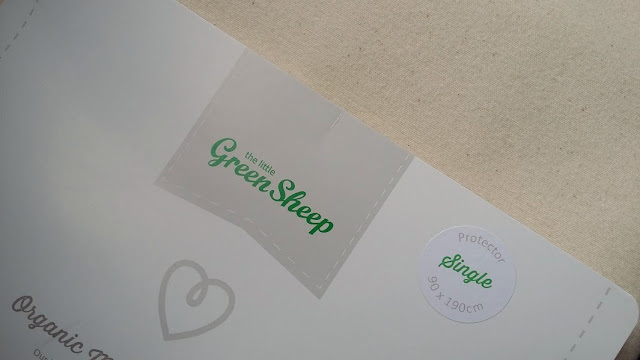 The Little Green Sheep mattress protector is a flat sheet which lies in between the top fitted sheet and the mattress protector It's cut to completely cover the mattress so it fits snugly in between and doesn't slip or move around. They are made from breathable and extra absorbent luxury orgamic cotton with a layer of food safe polyurethane to make sure that mattresses are protected.The flat sheet means that the mattress can breathe. 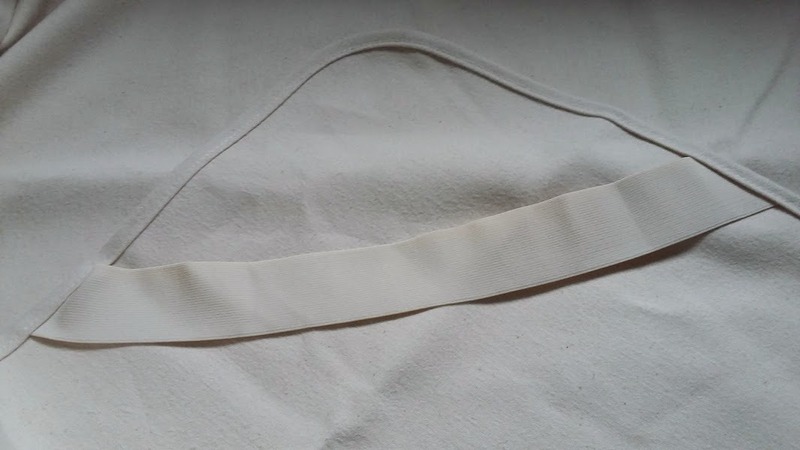 I was pleased to see that the single bed sized mattress protector has four corner elasticated bands to stretch around the corners of the mattress. This keeps it in place, something that's more difficult over the larger space of the single bed than on a cot bed. It feels much nicer under his sheet than the previous mattress protector, in fact you can't really feel it all. The smooth lines and great fit make it simple to make the bed up too and, in case of a full glass of water spilled all over the bed, as Bud did last night, it's a really simple process to remake the bed, safe in the knowledge that the mattress hasn't been affected by the spillage. The soft cotton means no rustling or crinkling sounds. Having used a few different brands now I'm even more sure that we won't be using any other brand of mattress protector on the children's beds. It's a big headache dealing with a wet mattress in the middle of the night and the ability to get your child back in a clean, dry bed very quickly is well worth the cost of these mattress protectors. Visit The Little Green Sheep website to see their full range of bedding, and keep up with their news by following them on Facebook and Twitter.